What would you do if you had your very own action figure? 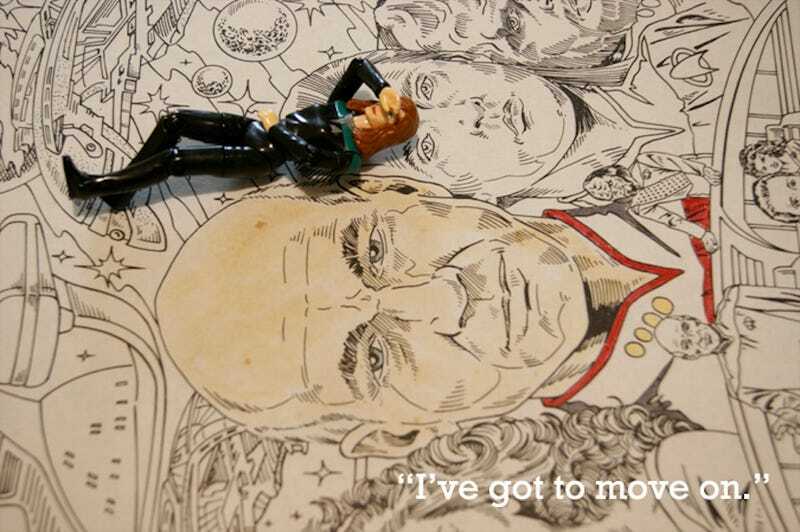 Lately, Star Trek: The Next Generation actress Gates McFadden has been photographing her Beverly Crusher doll in all sorts of strange situations, creating a bizarre shrunken Dr. Crusher spinoff. McFadden is currently the artistic director of Ensemble Studio Theater in Los Angeles, and perhaps as an offbeat marketing ploy, she's filled the theater's Tumblr with her 1/8th Bev photo series. Like her full-sized counterpart, little Beverly Crusher runs a theater and attends conventions, but she also rides cats and still carries a torch for a certain Starfleet captain.